New Car Stands from Pro-Line Racing « Big Squid RC – RC Car and Truck News, Reviews, Videos, and More! A good pit stand makes your car easier to wrench on and can make it look tricker when in the pits. Some of the latest to hit the market are from our friends over at Pro-Line. 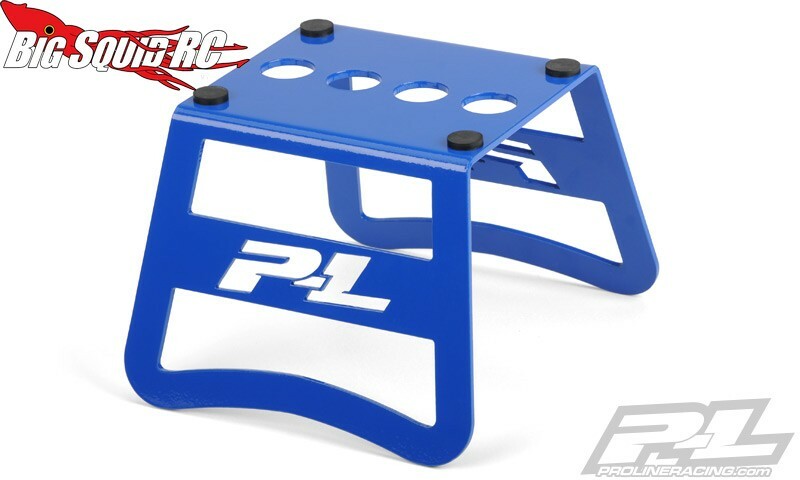 The new motocross inspired stands from Pro-Line are powder-coated blue and made from a tough alloy. They are made right here in the good old USA and even comes with holes in the top to hold your shocks while you build them. The part number for the 8th scale version is #6257-00 and it is priced at $44. The 10th scale unit is #6258-00 and comes with a price of $34. Get complete details by hitting up This Link over on Pro-Line’s official website.